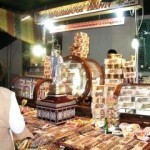 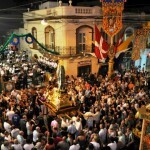 The festival (festa) of St Paul’s Bay takes place on the last Sunday in July every year. 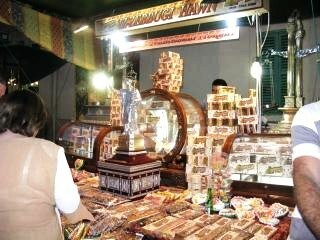 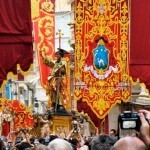 Events & activities, both inside the parish church & in the streets, begin a week earlier however. 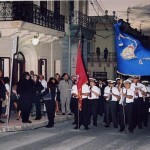 The main roads through the area are adorned with flags, banners, statues and almost every home in the area is decorated by residents producing a flurry of bright colours everywhere you look. 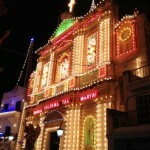 The centre of activities is the parish church of St Paul’s Bay (see picture) &, directly opposite, the band club. 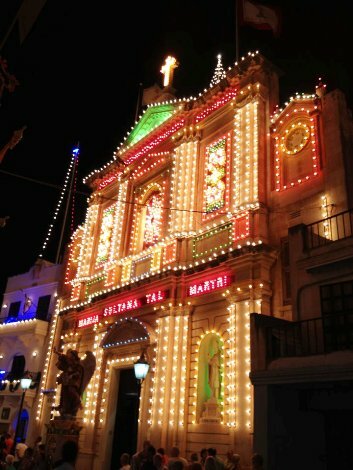 Events during the week are both religious & festive and include the local brass band playing in the streets most evenings along with firework displays. 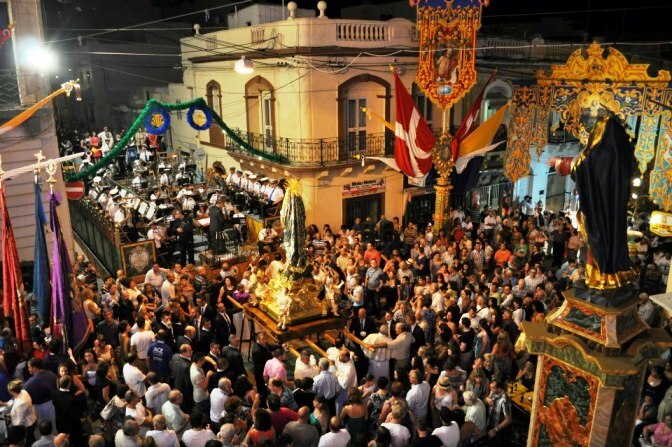 On the Sunday, the actual feast of Our Lady of Sorrows, the statue is carried through the town by proud local bearers followed by the brass band and the streets are lined with stalls selling traditional Maltese food & sweets. 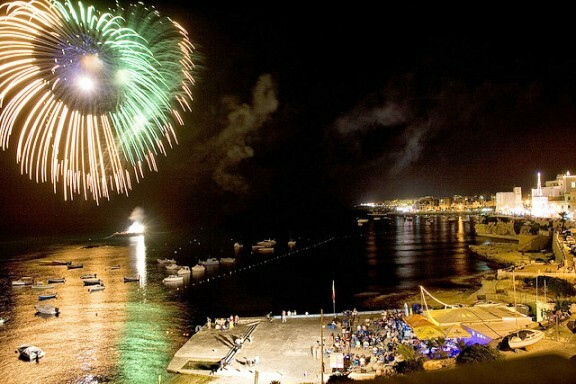 The evening climaxes with a large, and very loud, firework display. 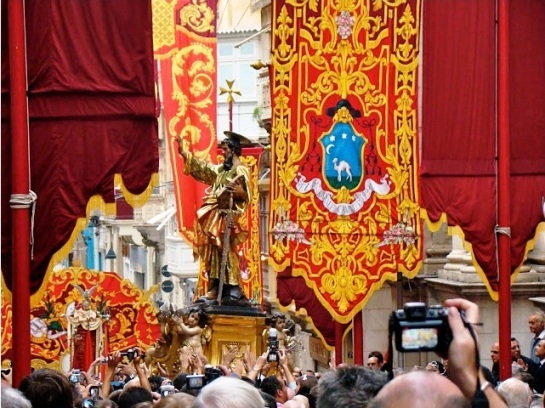 This cultural, magical event (see pictures left & right) should not be missed if you are visiting Malta at the end of July. 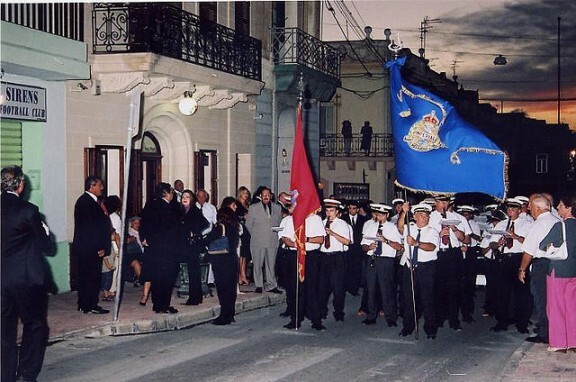 Throughout the year, various other local & cultural events will be held in the St Paul’s Bay area. 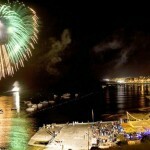 We update the list below as dates for these events are confirmed to us.